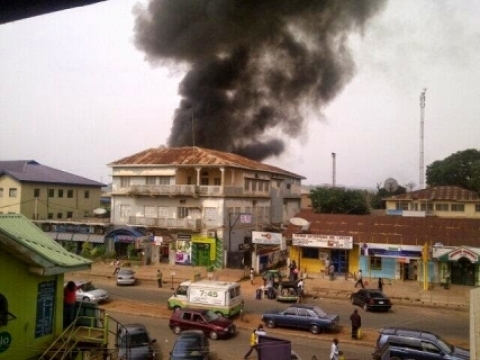 Muslims in Jos have taken to the social media to express their fears for what they termed “inevitable retaliation” by Irate Christian youths following the double explosion that rocked Jos, Plateu State of Nigeria. Here is a tweet from a one Muhammed: “@KoloKennethK: I can CONFIRM that irate boys in ‪#‎Busabuji‬ ward in ‪#‎Jos‬ have mounted a stop and search block. They’ll now target innocent muslims”. Africa Thisday is yet to confirm the search block as stated in the tweet. This entry was posted in Uncategorized and tagged Boko Haram, jos, JOS EXPLOSION.